Creating a collection with items for daily life. It’s our mission to design all you daily need and to make the average great again. Not dependent on trends or seasons. We only add new items that are well thought through. For your comfort and that of the environment. Beside designing this collection we have the drive, love and knowledge to grow into a platform for all that is related to (industrial) knitting. Every successful product starts in our designstudio. Clients appreciate our thorough understanding of knitted textiles combined with a unique perception on today’s developments in design and commerce. Customers want to make their daily tasks just that little bit more fun to do each day. And we? STRIKKS likes to knit and we help others how to do so. The newest products and the latest projects & collaborations we’ve completed. 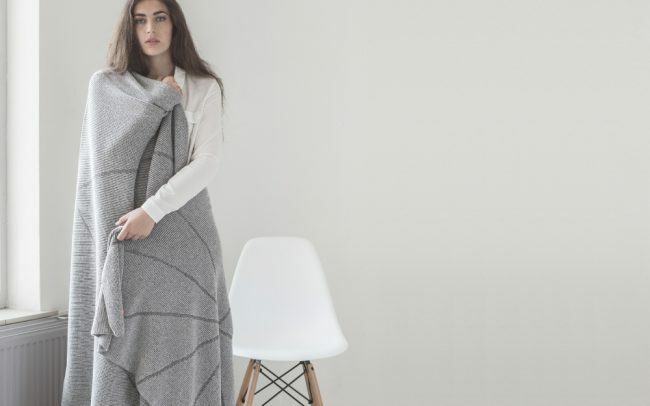 We develop knitted textiles for companies in our designstudio, we collaborate with other designers in our lab to innovate the technique and we make products for our own brand. All to show you why knitting is a technique that can be used all around you. We try to get out of our studio as much as possible and we take part in different events or projects. Come and visit us or read the stories and follow us behind the scenes. Find out what knits can do for your company or collection, let’s get together & inspire us!